Orchids have become very popular houseplants in recent years, with their delicate blooms adding elegance and allure to any room. But for beginners, knowing how to water orchids may seem a bit daunting, since they are unlike other common houseplants. This article is going to focus on how to water phalaenopsis orchids. These are also called moth orchids, and are one of the most popular and widely available varieties of orchid. As with any type of houseplant, learning how to water phalaenopsis orchids will take some practice and attentiveness, as you accustom yourself to the seasonal needs of these exquisite beauties. With the help of this article, you’ll soon be regularly enjoying the splendor of their gorgeous blooms. One of the keys to understanding how to water your indoor orchid is to recognize that it’s all about providing a balance between water and airflow to the roots. The goal is to simulate their natural conditions, where most orchids are used to growing with their air roots attached to trees and getting watered frequently, but drying out quickly. Use a potting mixture that is absorbent yet allows plenty of air movement to the roots. Make sure your orchid’s pot has plenty of holes for drainage. Only water the roots, keeping the leaves, stems, and flowers dry. The amount of water you provide when watering a phalaenopsis orchid depends on the type of potting mixture you use. Fast-draining media should be watered copiously, while sphagnum moss requires only a few tablespoons of water. Never leave the roots of an orchid sitting in water for more than 5 minutes, and always allow the pot to become well drained after a thorough soaking. Phalaenopsis orchids should be watered when the potting mixture has become mostly but not totally dry. Beyond generalities, the best rule of thumb for watering phalaenopsis orchids is to allow yourself to be guided by the plant, watering according to factors such as its seasonal needs, growing phases, and environmental conditions. Regularly fertilize your phalaenopsis orchid during the vegetative phase with a soluble formula suitable for orchids. Now that we’ve laid out the general guidelines, we will explore the ins and outs of how to water phalaenopsis orchids by answering some of the questions you’re sure to have if you are new to the world of these intriguing plants. 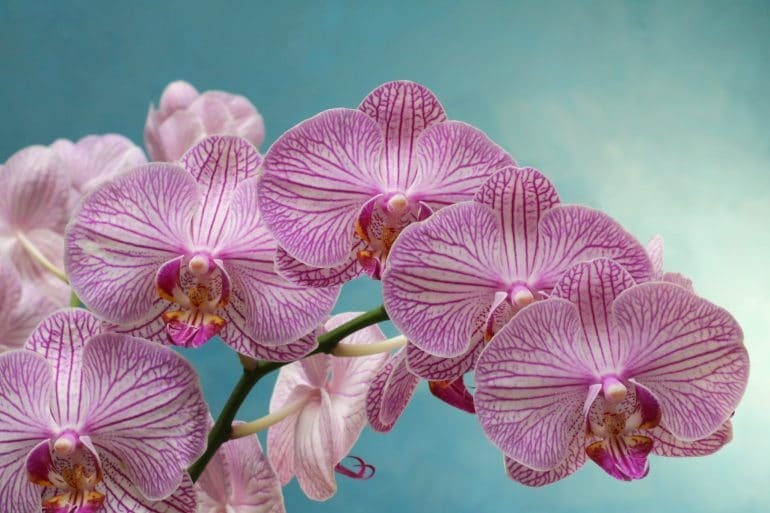 So read on to learn about different aspects involved in understanding how to water phalaenopsis orchids to encourage healthy growth and prolific flowering! What Is The Best Type Of Potting Mixture For A Phalaenopsis Orchid? The potting mixture, or growing medium, for a phalaenopsis orchid should be good at both absorbing water and providing airflow to the roots of the plant. Therefore, consider using media such as tree bark, coconut coir, clay pellets, perlite, pumice pebbles, and sphagnum moss, either on their own or blended together. If you live in a humid climate, choose a courser potting mixture that dries quickly and provides the best drainage. On the other hand, those who live in a dry climate should use a finer medium that will dry more slowly and hold more moisture. How Much Drainage Should My Orchid Pot Have? The amount of drainage your pot has will depend on the size of the pot, with larger pots requiring more drainage holes than smaller pots. Since orchids prefer to grow in smaller pots, a good rule of thumb is to make sure the pot has 4-8 holes if it’s 4 inches (10 centimeters) or so, while larger orchid pots (around 6 inches or 15 centimeters) should have 8-12 holes for drainage. Should I Mist My Phalaenopsis Orchids? The most important thing to know about how to water phalaenopsis orchids is that you should only water the roots, making sure to leave the crown (leaves, flowers, and stem) dry. Moisture on these parts of the plant can cause problems such as mold, fungus, and tissue rot – especially if water gets trapped in pockets such as those that form where there’s new growth. If you do get water on any part of the crown, use a paper towel to remove the moisture. This means that you should not mist your orchid. This can be confusing, since orchids are air plants,which get their moisture from the surrounding air and are associated with humid environments. The problem is that mist is made up of liquid water droplets suspended in the air, while humidity is water vapor, which is water in the gaseous form. Additionally, in nature, orchids proliferate in locations where higher humidity is balanced by greater air movement rather than where there’s high humidity with low air movement. So if you mist your orchid, you risk causing damage to your plant. What Time Of Day Is Best To Water Phalaenopsis Orchids? It’s often recommended that you only water orchids in the morning to provide enough time for the vegetation to dry by nightfall, thus minimizing fungal and bacterial problems. But with careful watering of only the roots, this issue should be less of a concern. What Is The Best Method For Watering A Phalaenopsis Orchid? 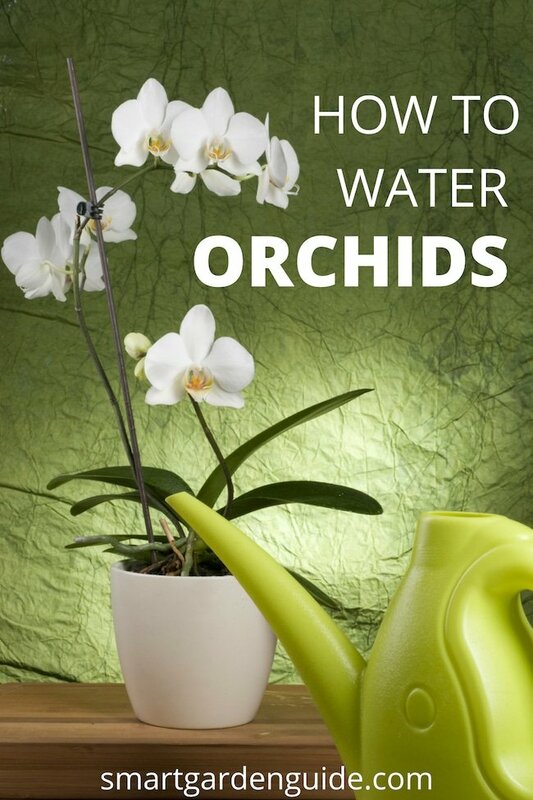 There are a number of watering methods to choose from when deciding how to water your orchid. So, as with everything else to do with orchids, the answer to the question of which is best is that it depends. In this case, one of the most important factors is the growing medium. If you are growing your orchid in tree bark or another well-draining medium, you should provide copious amounts of water to soak the roots. After soaking the potting mixture well, allow the excess water to drain out of the pot. This will ensure the return of that all-important airflow to the roots as well as flushing the growing medium to prevent the buildup of mineral salts. Just be sure that you never leave the roots soaking for more than about 15 minutes, as they will start to become waterlogged if you do. One method for soaking the potting mixture involves setting your orchid pot in a sink or larger pot that’s partially filled with water and letting it sit for 10-15 minutes. If you have more than one potted orchid, it’s best to use a dedicated container for each orchid pot to prevent the spread of disease. Another soaking method is to use a narrow-spouted watering can to slowly and thoroughly water the roots from above. This way, you can deliver the water directly to the roots without having to be concerned about washing any of the potting mixture away or wetting the crown. If the growing medium is sphagnum moss, however, you’ll risk drowning the roots by using these methods to water your orchid. Because this material is so absorbent, the inner core remains constantly moist when you soak it. Therefore, with this growing medium, you only need to provide a couple of tablespoons to the plant each time you water. What Temperature Of Water Should I Use To Water Phalaenopsis Orchids? It’s best to water orchids with tepid water to avoid the shock of a sudden change in temperature, which causes stress to plants. So, although many growers like to use ice to water orchids growing in sphagnum moss, there is a good deal of controversy about whether or not this is a wise choice. How Often Should I Water My Phalaenopsis Orchid? You should allow your orchid’s potting mixture to become dry or mostly dry before watering again. Generally speaking, if you live in a moderate climate, your phalaenopsis, or moth orchid, will need to be watered every 1-2 weeks. That said, it’s important to understand that there are many factors that will determine how often you should water any indoor orchid, as we will discuss next. What Factors Influence How Frequently I Should Water My Orchid? Here again, the type of potting mixture will be a major factor in determining how often you should water your orchid. You should also pay attention to the condition of the potting mixture, as aged growing medium that has broken down into finer particles will hold more water and take longer to drain than fresh medium, thus requiring less frequent watering. The sizes of the plant and its pot are also major factors to take into account in determining watering frequency. A smaller pot holding less potting mixture dries out more quickly than a larger pot holding more potting mixture. Meanwhile, a smaller plant takes up water less rapidly than a larger plant. Careful observation is, once again, the best way to know how to water your phalaenopsis orchid. How Can I Tell If My Orchid Needs Watered? So, now that you know what kinds of factors will influence their watering needs, the next step in understanding how to water orchids is to learn how to check when it’s time to water the plant. The best way to find out if your orchid needs to be watered is to test the potting mixture. Simply poke your finger in, and if the top inch or so feels dry, it’s probably time to water the plant. Or,carefully poke a wooden stick or skewer through to the base of the pot, leave it for a few minutes, and then remove it and look to see how damp it is. Another method is to check the weight of the pot. When you know it’s at the dryness level that indicates it’s time to water your plant again, lift the pot to get a feel for the heaviness or put it on a scale and record the weight. 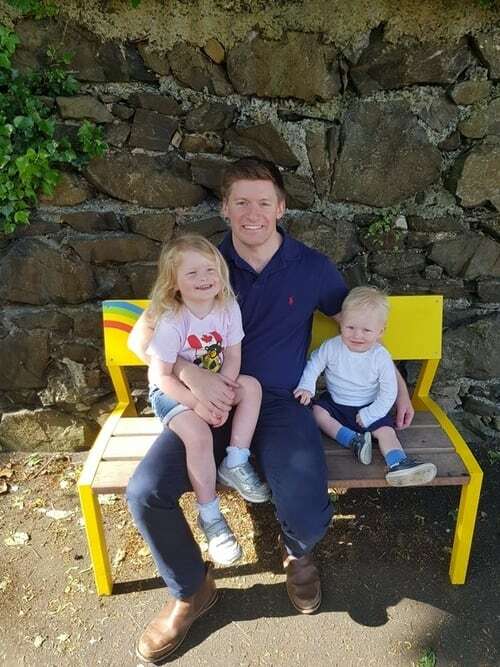 And that’s it – simple, but effective! Note that if you are unsure, you shouldn’t water just yet, as orchids are more capable of handling under-watering than over-watering. So until you’ve developed a good feel for the needs of your orchid, it’s best to err on the side of caution and wait a day or two before watering again. How Can I Tell If I’m Watering My Phalaenopsis Orchids Properly? Properly watered orchids will appear healthy and vibrant. A healthy phalaenopsis orchid will have leaves that are smooth, firm, and deep green in color. Likewise, healthy roots will be plump and firm. They vary in color, from bright green when wet to silver when dry, but the tips should remain green or magenta throughout their growth periods. On the other hand, limp, wilted, leathery, or wrinkled leaves, as well as yellow or brown patches, may indicate improper watering. Also, keep an eye out for roots that are black or brown in color and feel mushy or slimy, which are signs of too much moisture, as well as for pale, gray, dry, or brittle roots, which indicate dehydration. Should I Add Fertilizer To The Water Every Time I Water My Orchid? Since the growing media for orchids don’t hold nutrients as well as soil, they do need to be fertilized more often than most other houseplants. Importantly, it should be a weak solution of soluble fertilizer, preferably one that’s formulated specifically for orchids. But to answer the question, you shouldn’t fertilize every time you water. A good practice is to use pure water at least once between applications of fertilizer to avoid a harmful buildup these minerals in the growing medium. During the vegetative growth phase, along with watering more frequently, you should also fertilize more often – about every 2 weeks. Cut back to about 3-4 weeks during the resting phase, and fertilize very little if at all when your orchid is in bloom. Check out this useful video for a quick summary of how to water orchids correctly. 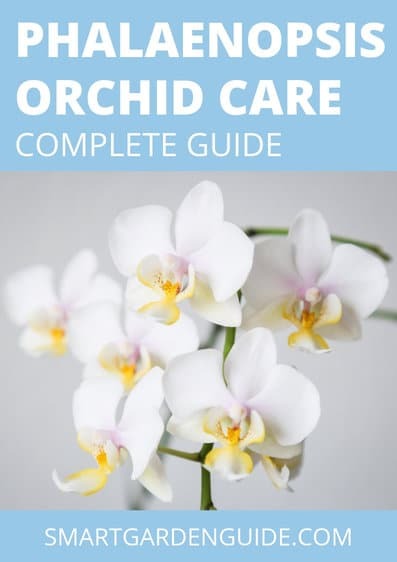 If you want to learn more about caring for orchids, I have written a general guide to all the aspects of caring for phalaenopsis orchids in this article. I’ve also got a useful article about repotting orchids here. Hopefully you’ve found this article helpful. If you have any questions to ask, or any advice to share about your experience of caring for orchids, I’d love to hear from you in the comments section below. Why Are The Leaves On My Orchid Wrinkled?